BRYAN EATON/Staff photo. 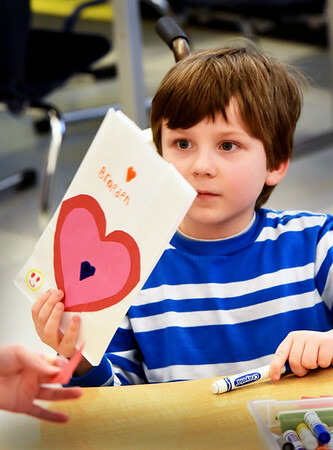 Braeden Farrell, 6, shows off his Valentine bag to fellow first-graders in Mary Ahern's class at the Bresnahan School on Tuesday afternoon. They were making the bags for Valentine cards to be passed out among classmates today.